If I had to single out one takeaway from this first volume, it was the indescribably moving dialog and emotions that the epic conveys. When Rama goes to Dashratha's palace one last time before leaving for the forest, a desperate father tries one last attempt to hold his son back, first by exhorting him to "Imprison me and become the king of Ayodhya today!" and then pleading him to stay, if only for one more night - "O son! However, it is night now, when one should never leave. Do not go today. Spend the night with your mother and me, so that we can see you." An equally distraught Rama is still steadfast and speaks a brutal truth - "Even if we obtain these objects with qualities today, who will give them to us tomorrow?" Kousalya's sorrow is heartbreaking, as she ponders her fate - "Had I not had a son, I would not have been this miserable. My sorrow is greater, since I see that I will now be without a son. Had I been barren, I would have had only one sorrow in my mind. There would have been no torment but for the fact that I don't have a son." and the taunts from the younger and prettier Kaikeyi and other queens - "I have heard many disagreeable words that shatter the heart. Though I am superior to them, I have heard them from my inferior co-wives." Knowing Rama's devotion to his parents, Kousalya makes one last resort, telling Rama that "I am not giving you permission. You should not go to the forest." The dutiful son is caught between his mother and father, and can but utter that "I do not possess the strength to act contrary to my father's words" and then pleads with his mother, "O Queen! Grant me permission to go to the forest. I am requesting you, on my life. Perform the benedictions." 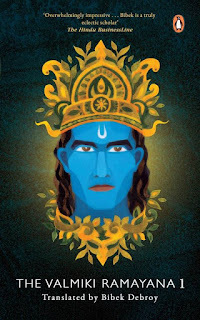 If people find an echo of these words and sentiments in twentieth-century drama and cinema, it is a testimony to the Ramayana's immortal human appeal. Among all, perhaps the most moving plight is that of Bharata. Away at his maternal home with Shatrughna when the banishment of Rama is planned and executed, he returns to a forlorn city and the suspicions of all his loved ones. He has to tell his mother, "Like applying salt on a wound, you have imposed a sorrow on another sorrow. 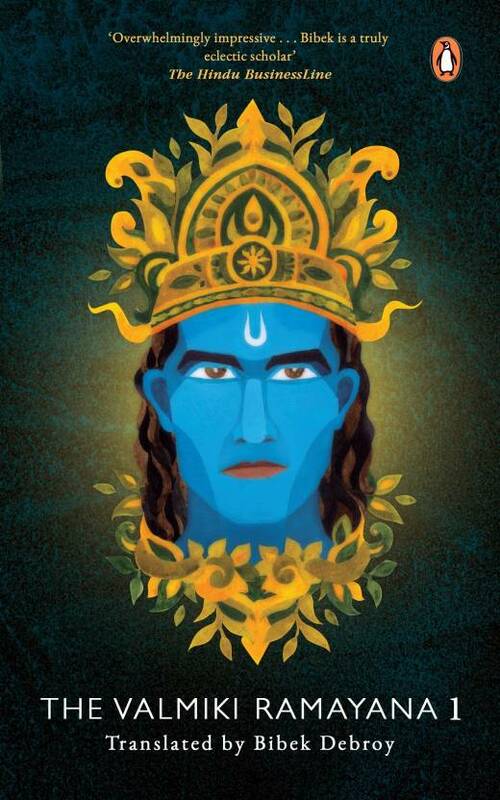 You have made my father die and have turned Rama into an ascetic." Whether it is Kousalya, sage Vasishtha, sage Bharadwaja, the nishada king Guha, or Lakshmana, Bharata is looked upon suspiciously by all. He has to bear the burden of his mother's ambitions, and the text brings out his plight in an extremely moving way. In chapter 1 of Bala Kanda, when Narada tells the rishi Valmiki about the Ramayana, or in chapter 3, when Valmiki summarizes the Ramayana before composing the epic, there is no mention of Sita's agni-pariksha. It is probably neither here nor there, but given that this episode has acquired a disproportional aura and hue over the millennia, its absence from the summary may suggest something. A peculiarity that struck me was the occurrence of the word humkara, which occurs four times in the first volume itself. The first is when sage Kapila destroys the sons of king Sagara by uttering the sound of humkara. The second is when Sthanu (Shiva) burns down Kama with the utterance of the sound of humkara. The third is when Vasishtha burns down all one hundred of Vishwamitra's sons with his humkara. The fourth is when Vishnu countered Shiva's bow with a yawn and humkara. There is only one such use of the word humkara in the entire Mahabharata, according to Bibek Debroy. This is another of those peculiarities that leads me to wonder when the use of the word and sound of humkara become common in Hindu texts. Returning to the point about footnotes, the ubiquitous presence of footnotes was something I had pointed out when reading the Mahabharata translation (see this post), and Dr. Bibek Debroy's footnotes do not disappoint here either. Take, for instance, chapters 51 and 52, when King Viswamitra visits sage Vasishtha's hermitage, and the sage requests his cow, Shabala, to provide a meal for the king and his army. Bibek Debroy tells us that: (i) Shabala means speckled or spotted. This was a kamadhenu, a cow that could yield every object of desire, (ii) that the six types of flavour that Vasishtha requested Shabala to provide food with are 'caustic, acidic, sweet, salty, bitter and alkaline, (iii) the four types of food are those that are chewed (charvya), sucked (chosya or chusya), licked (lehya), and drunk (peya). Or when Rama is about to leave for the forest for fourteen years, and when his mother, Kousalya, asks how will Sita manage, she refers to her as "shyama". Shyama can mean dark, but the footnote (number 209) tells us - "We have deliberately not translated shyama. Usually, this means dark. But shyama also means a woman who has not had children and it is this second meaning that is intended here." Or when King Janaka decides to bestow his two daughters in marriage, he says, "I state this in three ways." The three ways, the footnote tells us, are via thoughts, words, and deeds. Or when Rama prepares for his coronation the next day, he spend the night in Vishnu's shrine. The footnote tells us that this shrine was inside the palace, and the image - idol, murti - is now believed to be in the Srirangam shrine! With more than nine-hundred footnotes, the translation is enriched by these clarifications and explanations. Unlike the Goldman translation, where the translator went to great pains to assert out that the epic was a work of fiction, here, Bibek Debroy correctly mentions that the factuality of the epic is mostly an irrelevant question when it comes to the translation. One could point to the existence of Ram Setu (also known as Adam's Bridge) at Rameswaram - the place the Ramayana mentions Rama and his army as having crossed over the ocean to Lanka, or to the study that confirmed the existence of all 182 plants, flowers, and trees mentioned in the Ramayana from the north to the south, and so on, but that is a matter for discussion in a different place. A translation is not the place to conduct battles over ideologies or agendas, and this translation steers clear of that minefield. For that matter, while the author broaches the subject of the greater antiquity of the Ramayana and Mahabharata, he steers clear of pronouncing any definitive verdict in the matter. Reading the translation, I certainly got the impression that there is a greater sophistication in the society as described in the epic, and which would seem to suggest that perhaps the events in the Ramayana took place at a later point in time than the Mahabharata, but that is one opinion, and one which is not going to be settled anytime soon. People who have read the epic in Sanskrit say there is a divine quality, if you will pardon the expression, that translations cannot quite capture. Indeed, as Dr. Bibek Debroy writes, "There is no substitute for reading the original Sanskrit, more so for the Valmiki Ramayana than the Mahabharata." True though that might be, if one lacks the patience for the unabridged or a knowledge of Sanskrit, the next best thing would be to read a faithful translation of the unabridged original. Retellings, adaptations, narrations, abridgements - all have their own space and place, but with such a creative freedom to re-interpret the Ramayana also comes the onerous responsibility to neither inject one's own ideology or agendas nor try and improve upon the original. Sadly, it's a burden more often shirked than borne these days. Hence, for a medium-sized epic like the Ramayana, reading the translation, in full, is certainly something I would suggest, and Bibek Debroy's translation I would heartily recommend. This review first appeared in OpIndia (@OpIndia_com) on May 16th, 2018.